Nothing finishes your look better than well groomed brows. I always hear from makeup artists that brows "frame your face" and that you should never neglect them. I have even heard that if you only have a few minutes to do your makeup, that brows are a top priority. Even though I know this, I must admit, I often neglect filling mine in. I constantly struggle with my brows. They are thick and unruly. Yet, they have sparse patches as well. While my hair is blond and highlighted, my brows are dark. So, I don't need to draw or fill in my brows to make them visible. I need to groom them and pluck them to keep them from getting too thick and crazy. Honestly, if I gave up plucking, I would probably have a unibrow! Thank God for tweezers!!! Shape: Brows should be plucked (waxed, threaded, etc) to create an ideal shape. This shape is different for everyone depending on the topography of your face. Trim: If your brow hairs are long, they might need to be trimmed. Color/Fill-in: If you have very light brows, you might need to draw them. If you have sparse patches, you should fill them in. Set: To hold brows in place, you can set them with a clear or colored gel or a setting wax. Whew! That is quite a task list for brows. No wonder mine often get neglected. It sounds like a lot of work! Well, no worries! Billion Dollar Brows is to the rescue. They have quite a variety of kits and products to help you sculpt and shape your brows into the ideal shape. I tried out a variety of items from this line and am happy to say that I have been very pleased with the improvements in my brows! 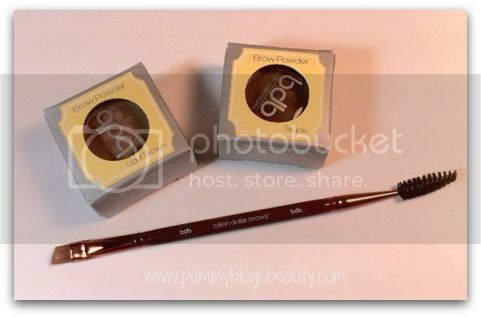 To check out my reviews for Billion Dollar Brow's Brow Buddy Shaping Kit, Brow Powder, and Brow Brush, please keep reading! The first step is to create your brow shape. This is often the most difficult task in brow finishing. How do you determine your shape? This is different for everyone depending on the shape of your face, size of eyes, and natural brow shape. The Brow Buddy is a unique tool to help you create that shape! 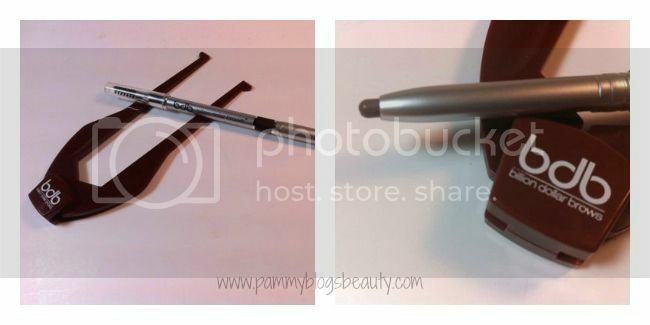 The Kit consists of the Brow Buddy shaping tool and a brow pencil for marking off your line. Have you heard of the trick to hold a pencil alongside your nose to determine the start point for your brows and the end point? Well, this tool does that but also allows you to hold your place there and determine the both the start and end points at the same time for symmetry. Genius! Just line up the tool on your face and determine your start and end points. Then, mark off the line with your pencil and then tweeze. Next, you either fill your brows in with a brow powder or pencil (see below). The Brow Buddy Kit retails for $19.95. The next step is to fill in your brows. You can do this with a pencil or a brow powder. 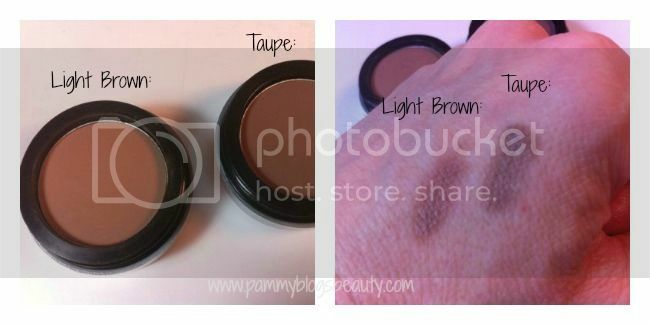 I choose to try the Brow Powder from Billion Dollar Brows in the Light Brown color. Billion Dollar Brows sent both the Light Brown and the Taupe for comparison. The Taupe is really much too dark. I figured the blonde shade would be too light (my brows are dark). It turns out that Light Brown is the closest shade for me. This shade is recommended for warm blondes or redheads (I am neither). I did find the shade to be a bit too warm for my complexion. Even so, I do find that I still use it as I fill in such small areas in my brows. The powder is matte, smooth, and nicely pigmented. Works great! 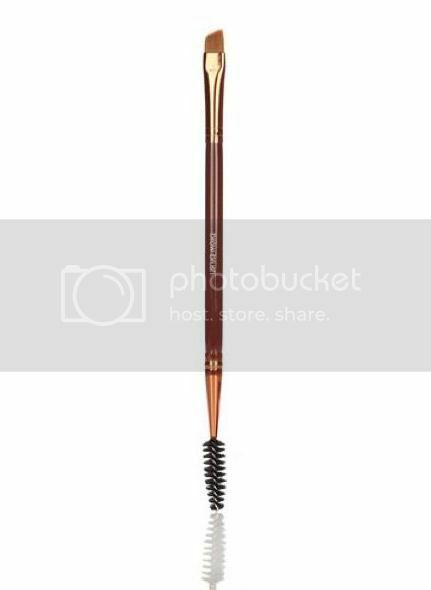 I apply the powder with Billion Dollar Brow's Brow Brush (see below). These Brow Powders retail for $16.00 each. This is a dual ended brush with a mixture of synthetic and natural hairs. One end has an angled brush and the other a spoolie brush. The angled brush is perfect for applying brow powder and creating the perfect brow arch and shape. The spoolie brush side is nice for brushing out your brows. Brushing them before and after powder helps to put them in place and distribute the powder a bit too (it makes the powder look less obvious). I always set my brows with some sort of Brow Gel. Right now, I am using Maybelline's Great Lash in clear. This product works pretty well. However, I do wish it had a little bit more hold. I just lightly sweep it over my finished brows. Then I comb it through a bit with the Billion Dollar Brows brow brush's spoolie end. Here are my brows filled in with the Light Brown Powder. No, my brows are not perfect here (I still need practice!). I am so happy with this assortment of tools and products from Billion Dollar Brows! 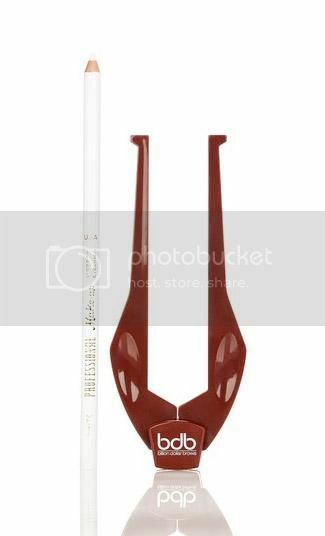 I can create such nice and finished brows with these. Having a tool makes me less likely to "free hand" my brows and end up with a wonky shape (yes, that has happened to me) or worse: over plucking/over trimming! For some reason, I always used to trim my brows too short or pluck too much on the ends. My hairs get very thin on the ends. The Brow Buddy tool has shown me that I actually need to draw out my brows further on the ends to properly frame my eyes. Have you heard of Billion Dollar Brows or the brow buddy? I would love to hear how all of you achieve your best brow shape! Any tools or tips to recommend? Please leave any suggestions or tips in the comments below! Sounds fab, I struggle with my eye brows too. @CosmeticCrazy-These tools certainly help. I just feel like my brows are a constant battle, lol!